Are you desperately waiting to lose your weight? Do you think you are overweight? You want to lose those extra pounds. For that you fixed an appointment with the dietician. After the long discussion on your background, likes, dislikes, eating habits, lifestyle and various other topics she has boiled down to the healthy diet that will work on your body. She says this diet is made only for you. Wow it feels so great, right? 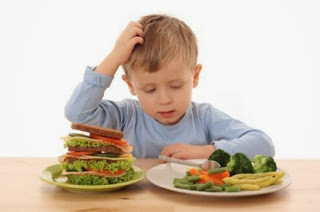 On way back to your home you are thinking about how smart the dietician is. Your face is glowing and eyes are widely opened. And you are optimistic about the diet she has provided to you. You just cannot wait to start the diet. You dream of looking slim and toned in the next few weeks. Good try it out. But do not talk about diet in front of children. Whoever is on diet is bound to talk about diet and use words like calories, low fat, no carb, gluten free, low salt, low sugar, no chips, no fried foods, eating fruits, raw food, salads, juices, cleansing body, etc on the daily basis. Which words with regards to diet you use most of the times? A diet language used in front of children can have the negative impact on the child’s mindset. Imagine saying dietician has asked me to have toast of brown bread without butter. She will always wonder why mother is having different food and other family member is having different food. The impression of these questions would remain in his / her mind for entire life. She may also try to avoid butter whenever possible because children usually imitate their parent. But is this good? No. Second various questions on their mind like the ones mentioned above leave the negative impact on their mindset.